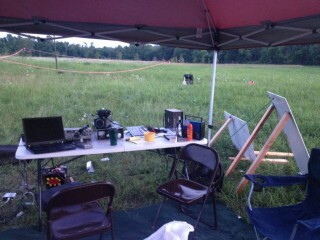 A photo of the W5YM field day tent. 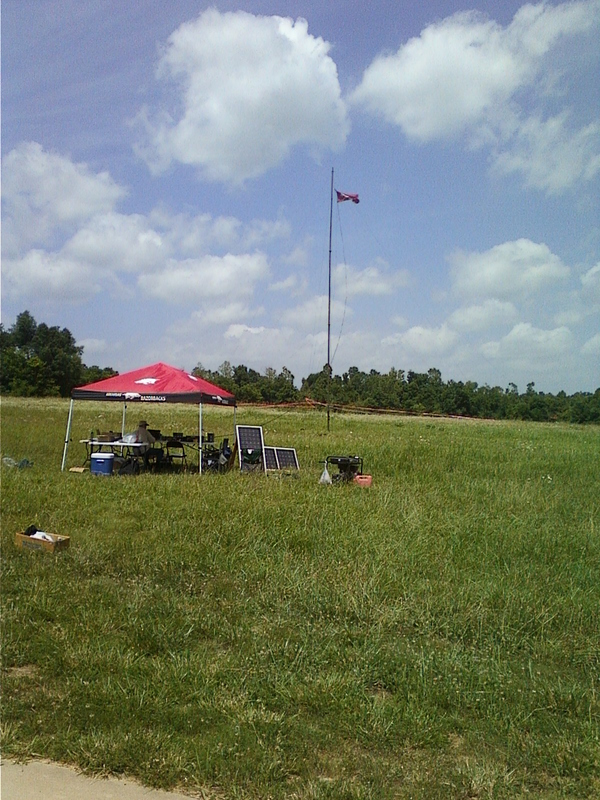 Field Day 2013 for W5YM was a tremendous success! 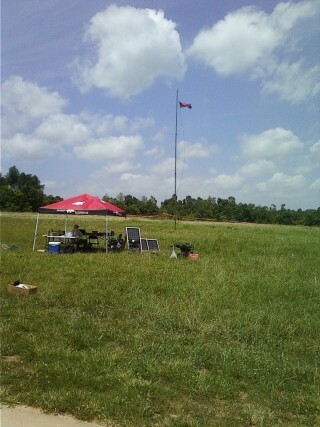 As always, we operated as K5GOE in honor of past faculty advisor, alumni, and friend Dr. Woody Charlton. This year, we ran on solar power, thanks to the generous donation of some old solar panels no longer needed by the UA Solar Boat team.